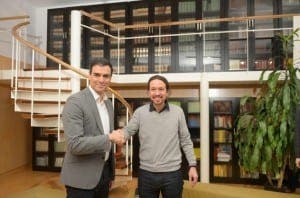 THE Socialist PSOE general secretary Pedro Sanchez has rejected Pablo Iglesias’s demands for ‘exclusive’ dialogue. Sanchez was speaking after talks with the Podemos leader as Spain’s political parties continue to try to form a government. 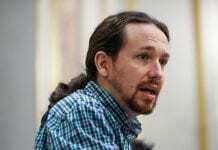 Iglesias has called for the PSOE to shut out rival party Ciudadanos from any dialogue about a potential government pact. But Sanchez is adamant the PSOE would negotiate ‘in plural’. “There are things that separate us but there is one thing that unites us: that we have to put an end to Mariano Rajoy and the PP’s government,” said Sanchez. 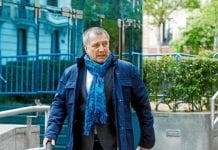 Sanchez has asked for a month to try to form a government after Rajoy turned down the opportunity to do so for a second time. Spain has been without a government since the general election on December 20 when no party secured an overall majority of 176 seats. I was always told that a week in politics was a long time. Why therefore has Pedro Sanchez asked for a month! Difficult to see how Pedro can get a month to form a government, when the cut-off date for doing so was supposedly the 13th of January. We all know about the famous Spanish “manana” but this is ridiculous. On second thoughts, the country seems to work just as “normal” without anyone being Jefe. “Normal” being a broad term of course.